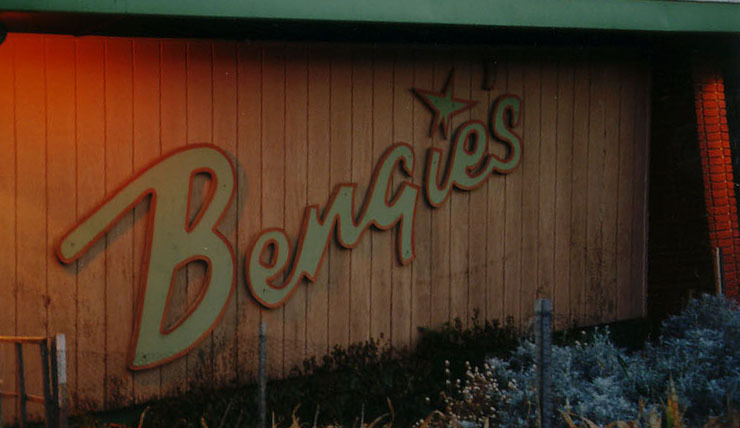 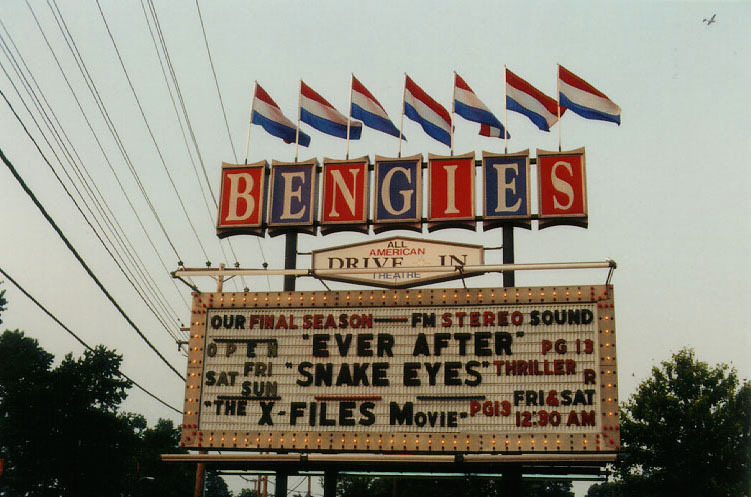 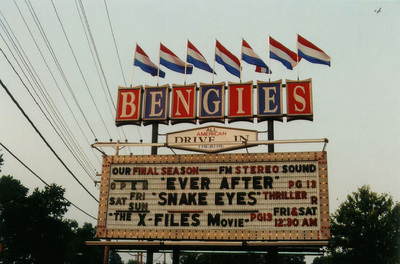 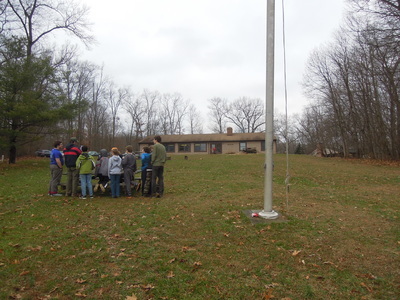 An archive of all the fun things we did in the 2015-16 year! 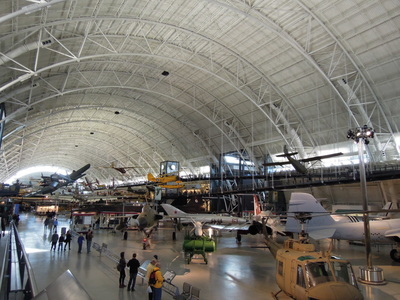 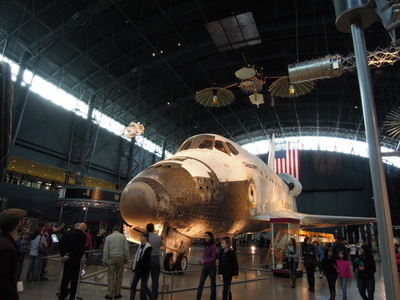 To get in the mood for our upcoming rocket building meeting, the pack visited the Uvar Hazy Air & Space museum near Dulles Airport. Congratulations to our scouts who earned awards at our annual Blue & Gold banquet! 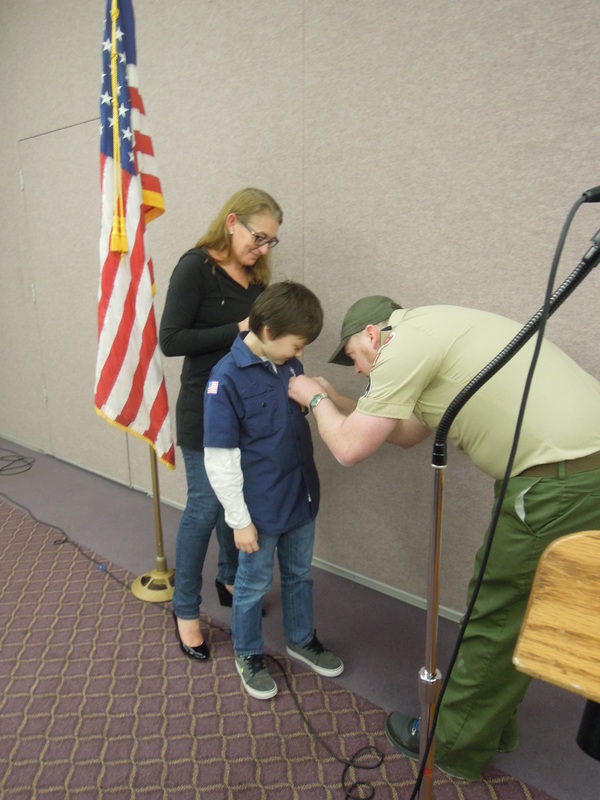 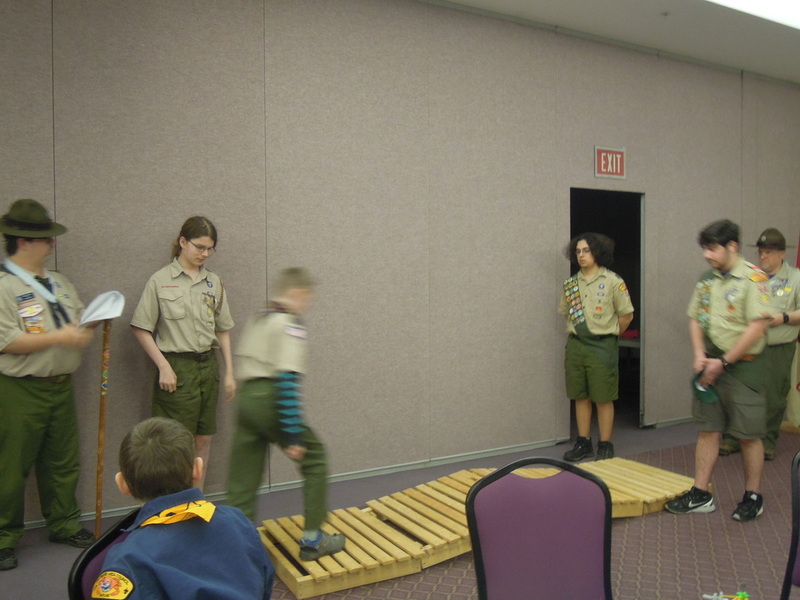 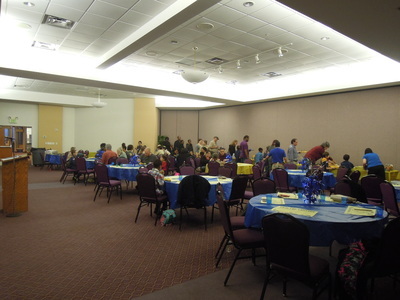 Special thanks to Beth Israel for the wonderful food prepared in their kitchen, and Troop 97 for conducting the bridging bridging ceremony for our cub scouts graduating into Boy Scouts! 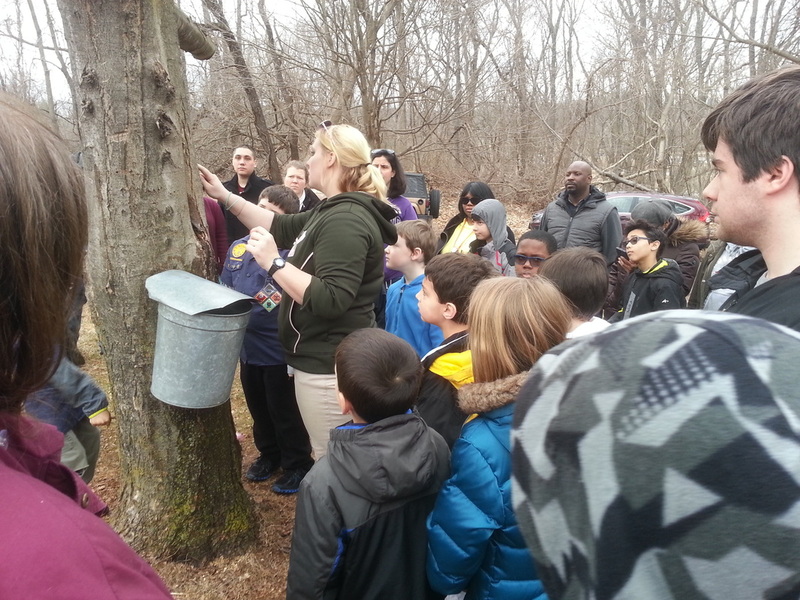 Our pack attended Oregon Ridge's annual maple syrup festival, and learned all about identifying and tapping trees to get the good stuff! 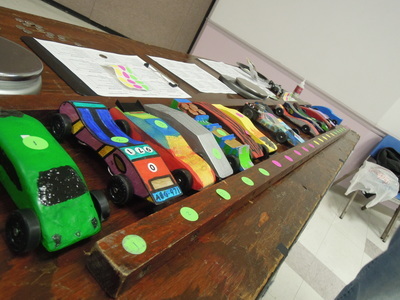 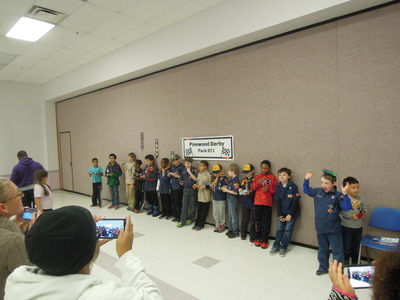 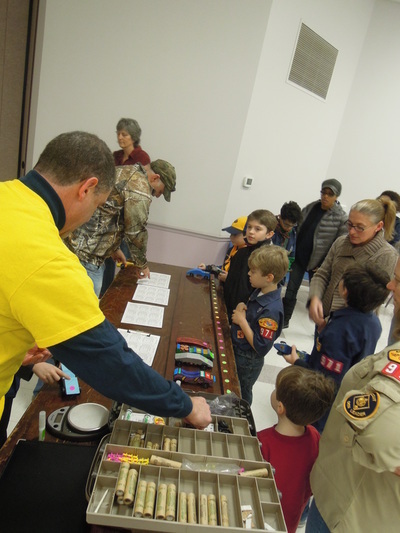 Another year of Pack 971, another successful pinewood derby! 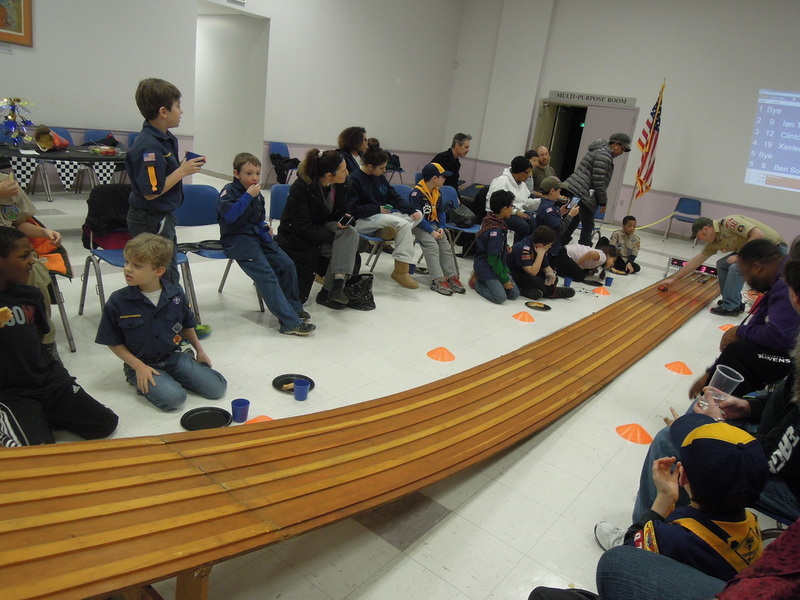 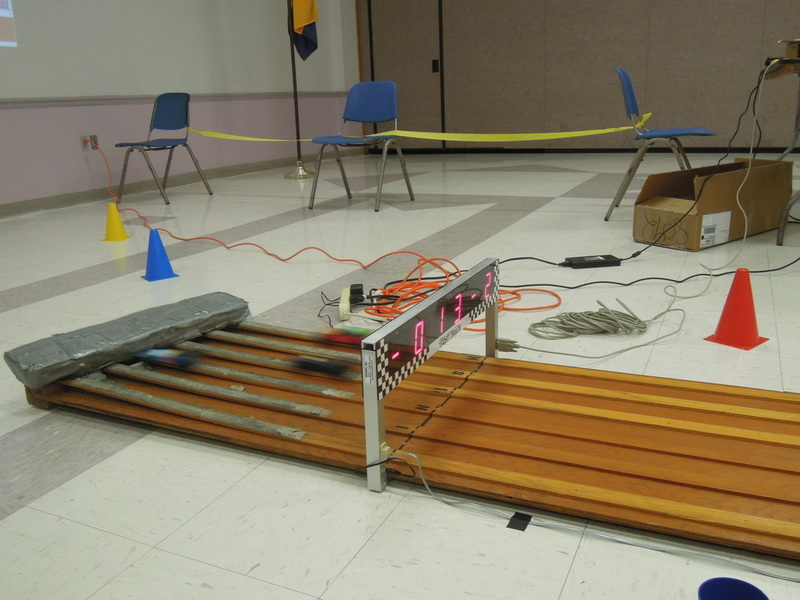 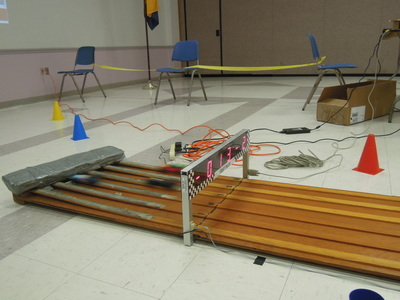 This year we had a NEW pinewood 6 lane track and NEW timer - both worked perfectly. 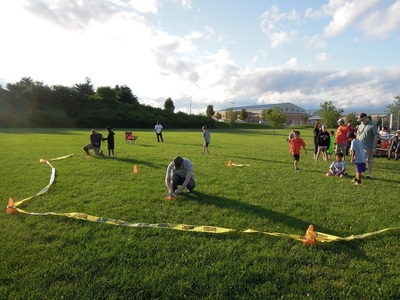 Thanks to all our volunteers for making this derby excellent! 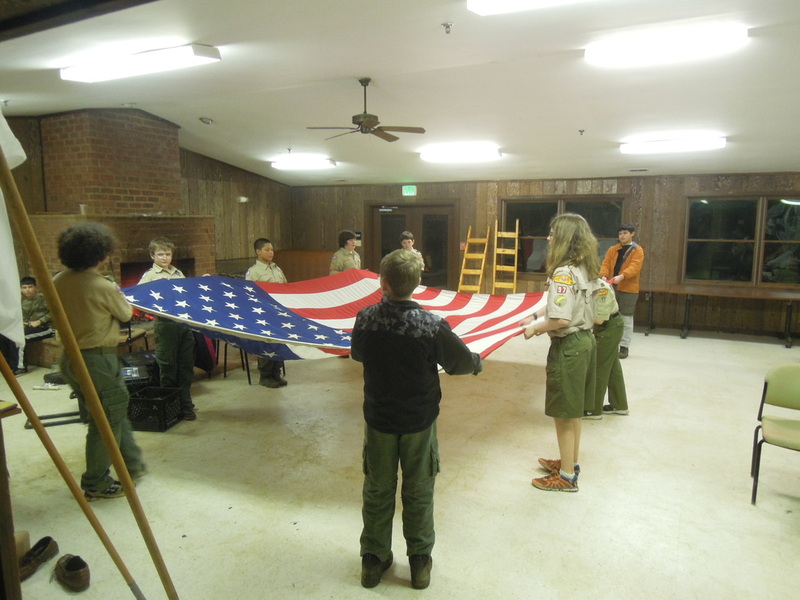 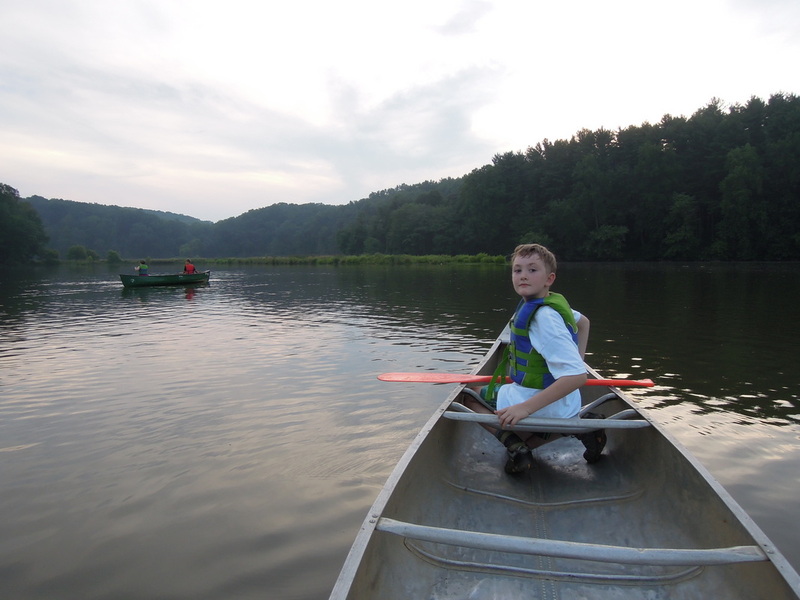 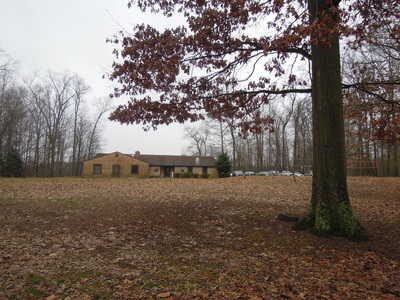 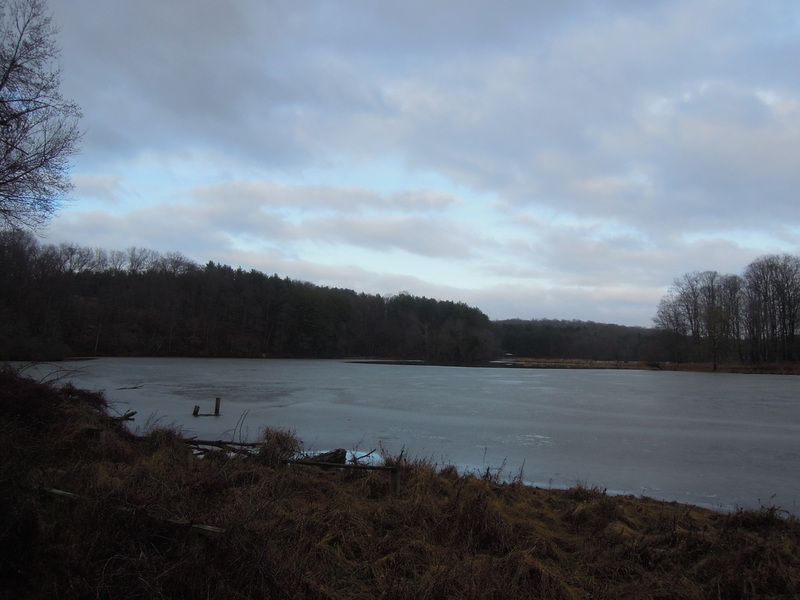 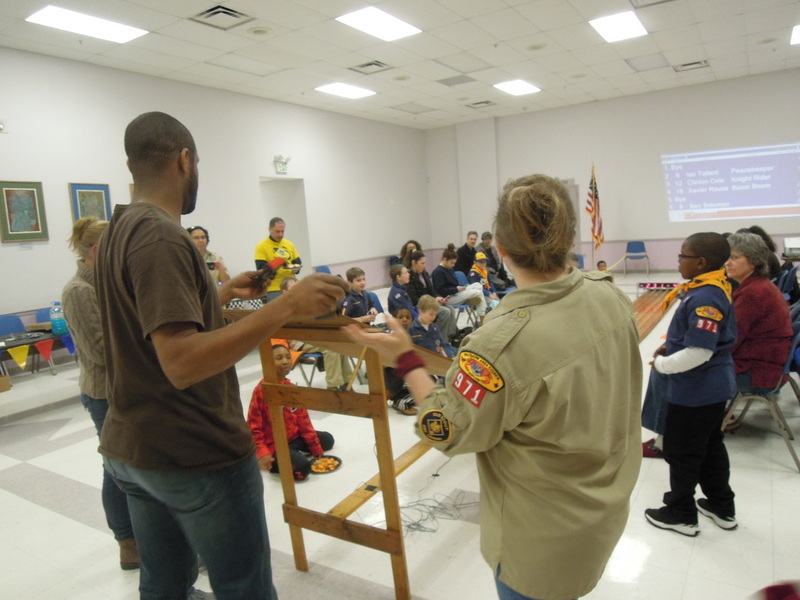 Our Webelos were invited to attend Troop 97's winter broad creek scout camp. 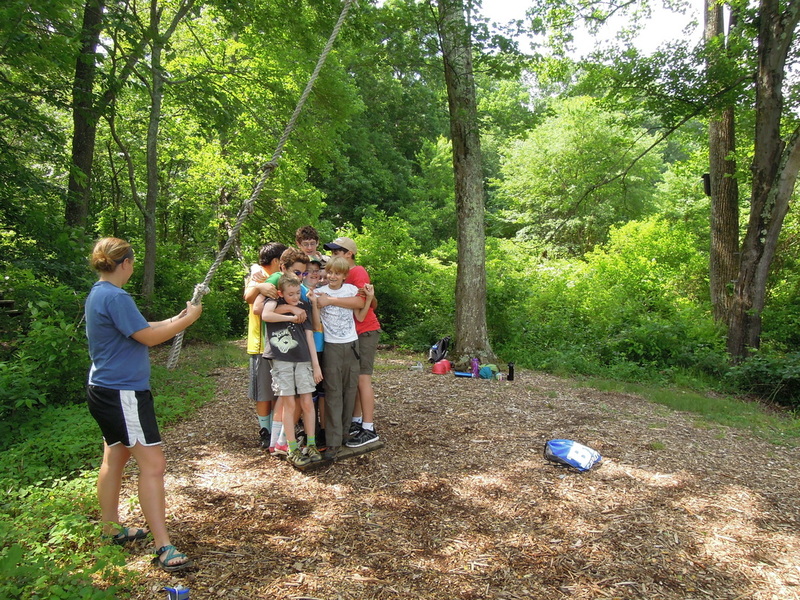 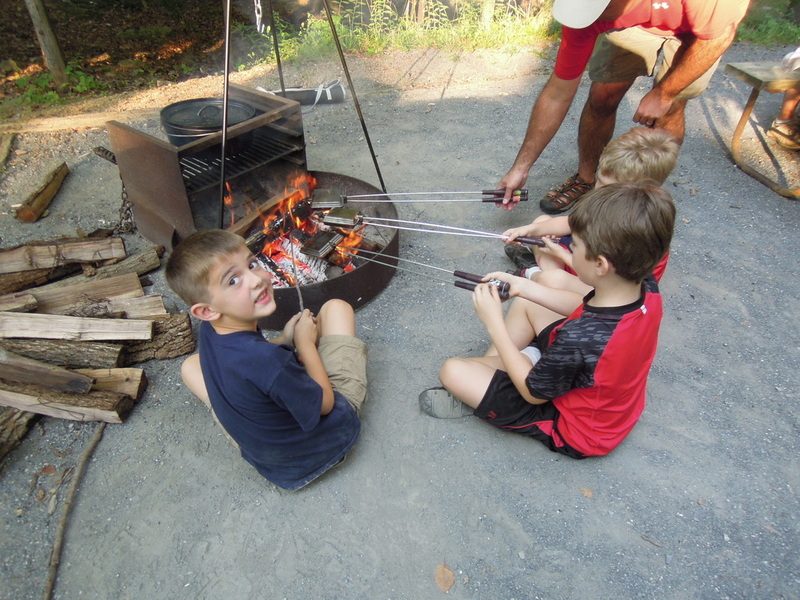 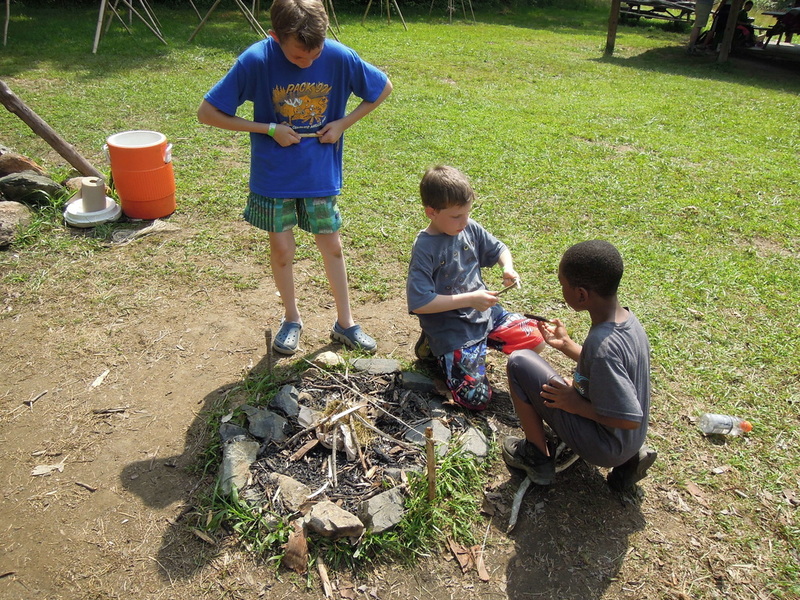 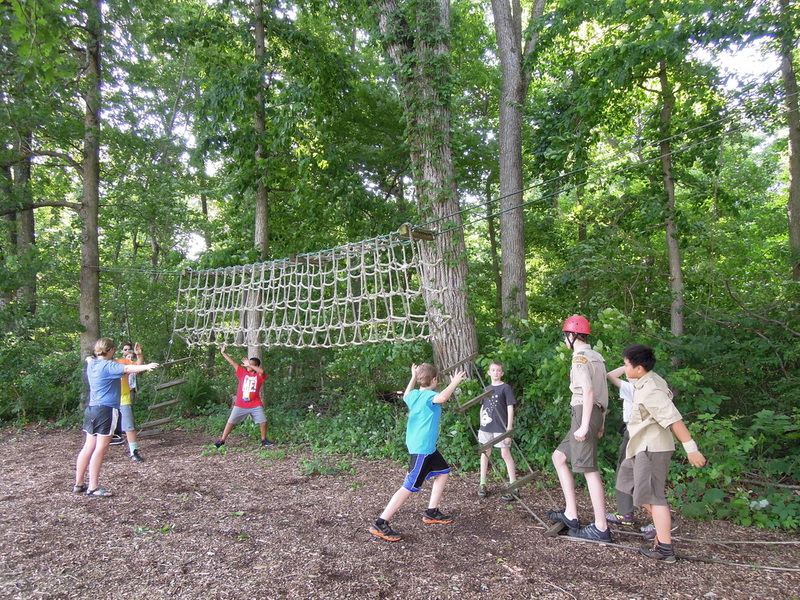 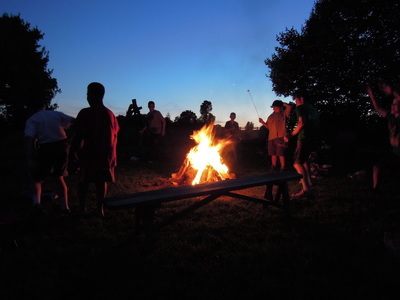 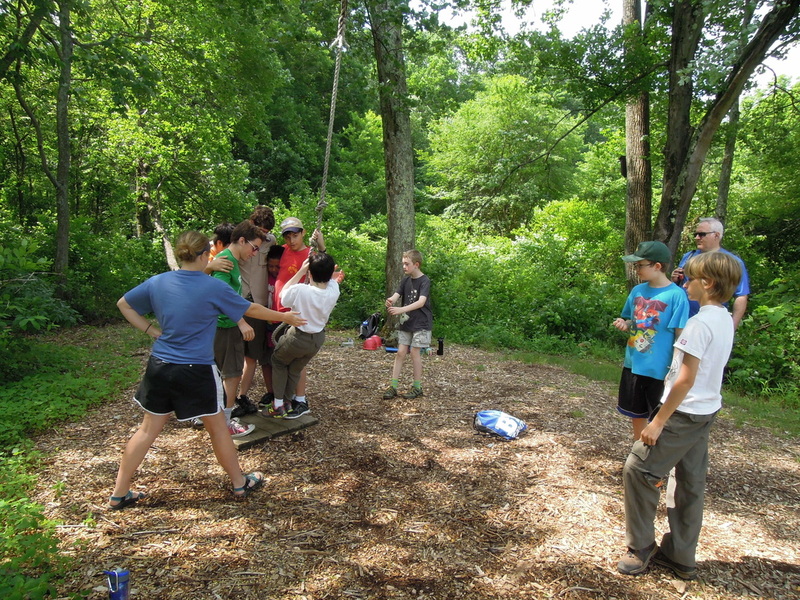 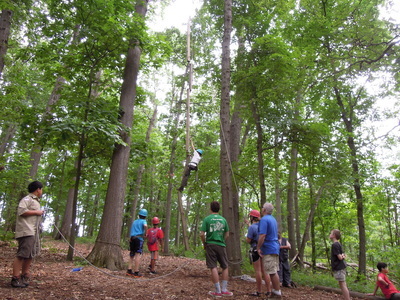 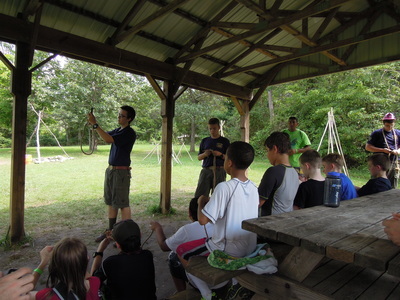 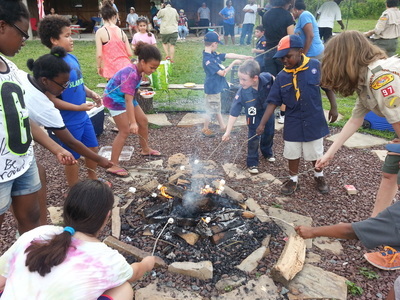 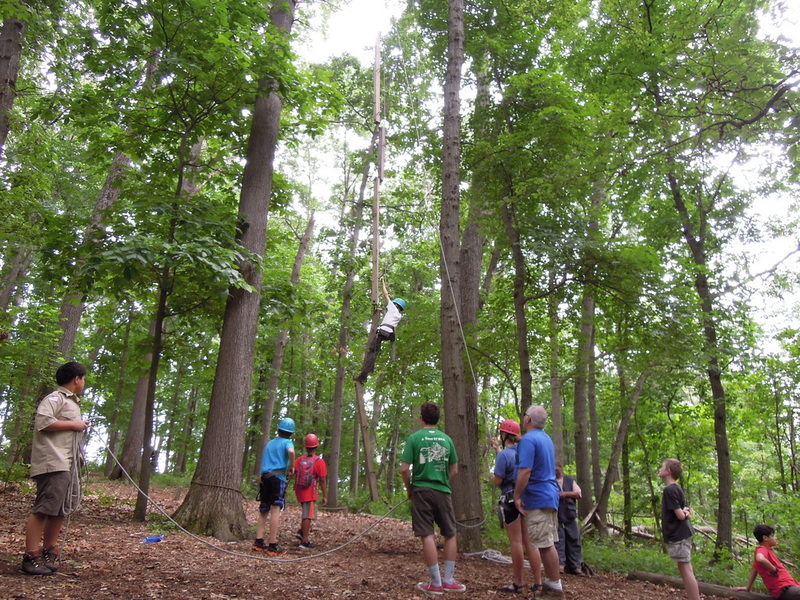 The scouts had a great time with outdoor games, scout craft, and their campfire program! 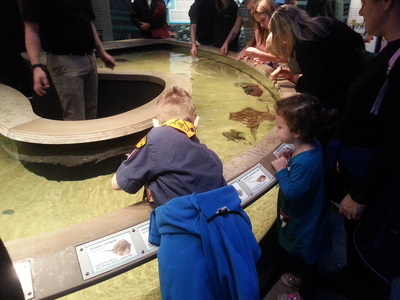 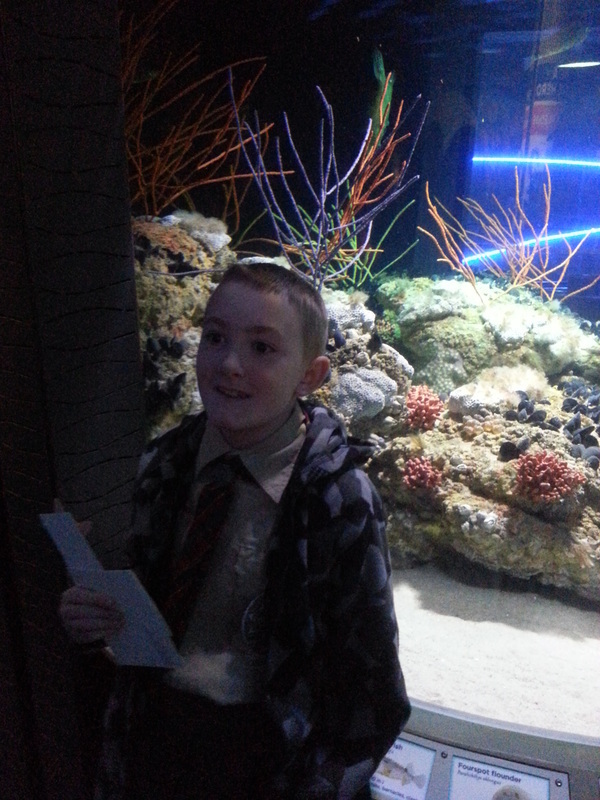 The scouts got up close and personal with the animals at the aquarium during our trip to the National Aquarium in Baltimore! 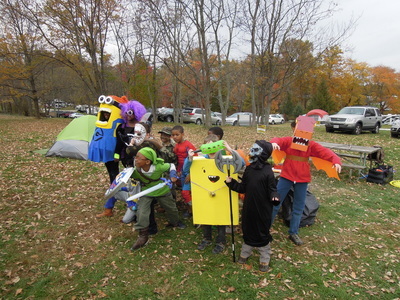 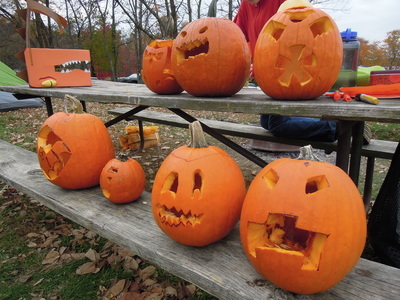 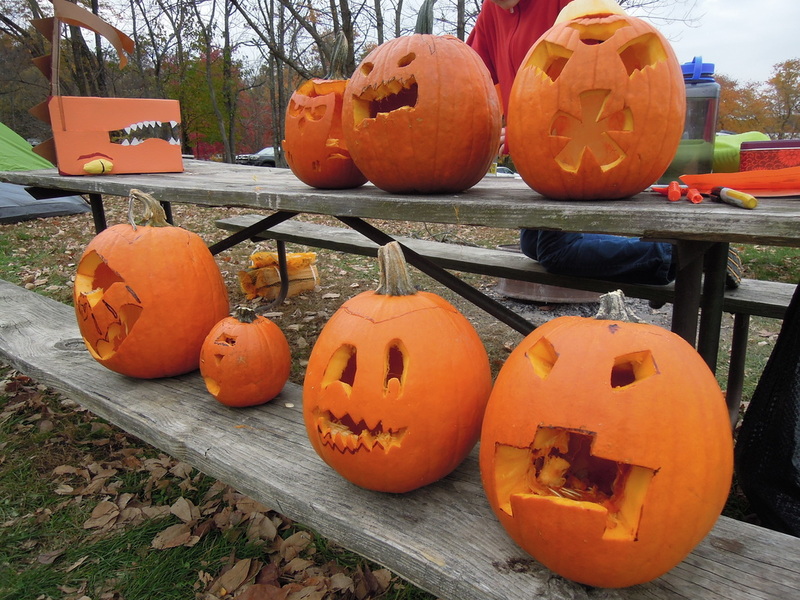 We had a great camp out Gettysburg - the scouts enjoyed pumpkin carving, a costume parade, haunted house, and of course trick or treating at the many elaborately decorated camp sites! 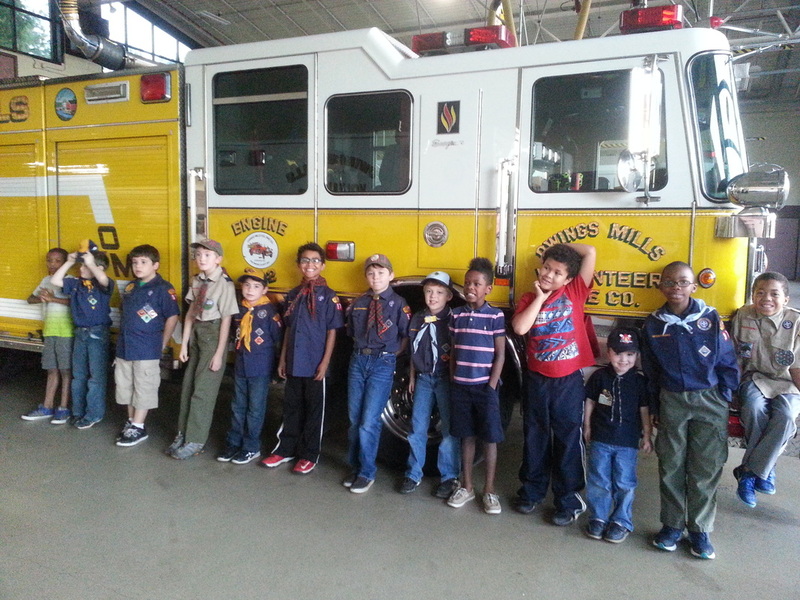 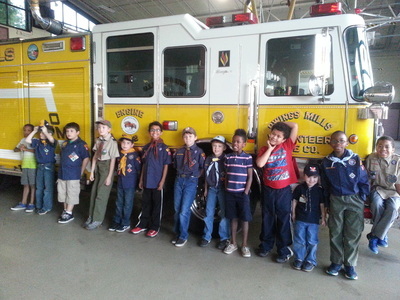 Many thanks to the Owings Mills Volunteer Fire Department for showing us around the station - the cub scouts really enjoyed it! 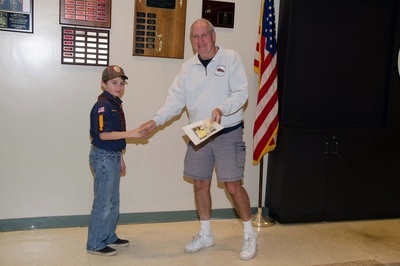 Congratulations to Connor Lotts for his generous donation to the fire department as well. 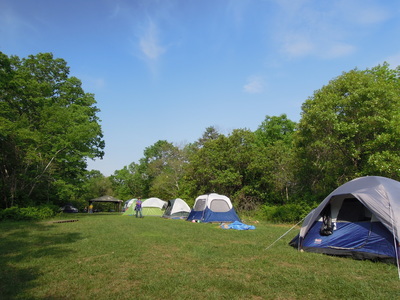 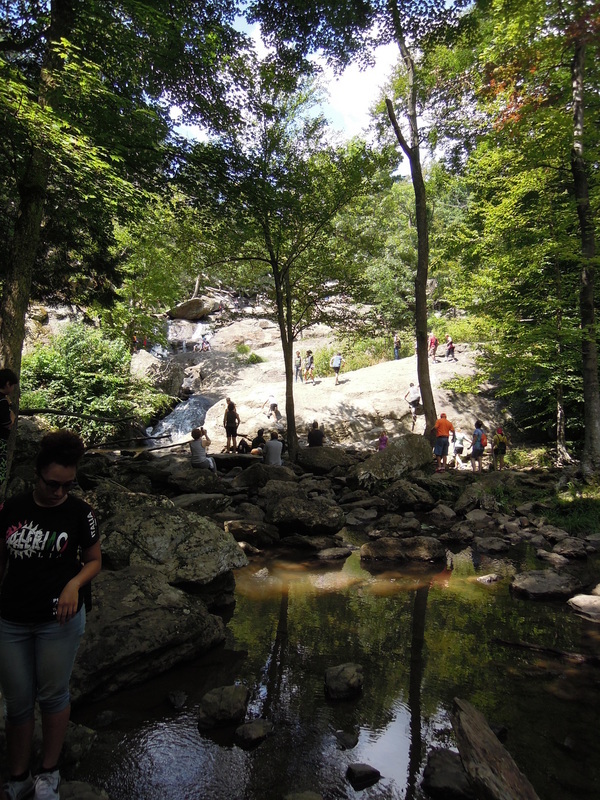 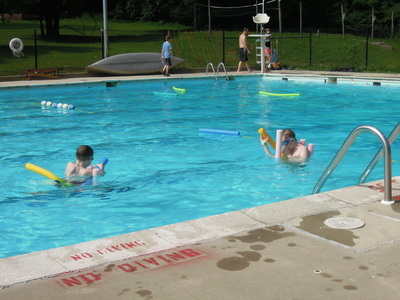 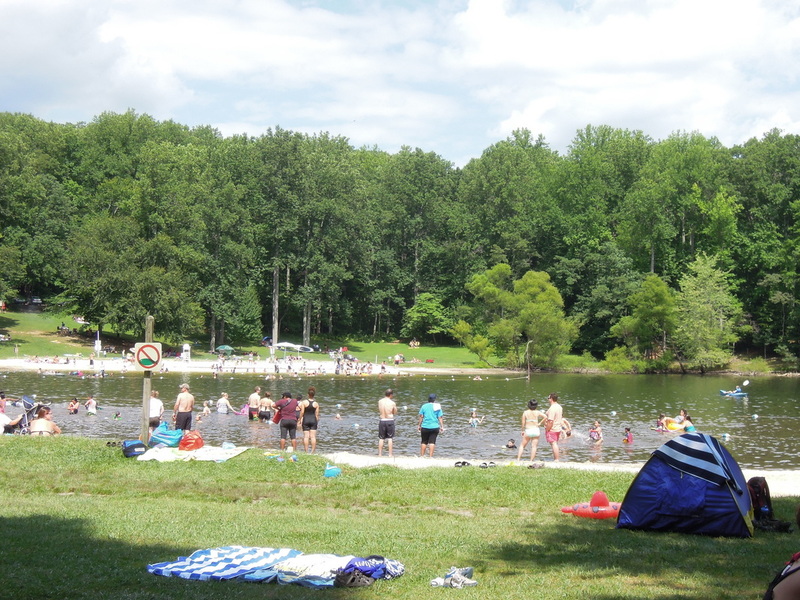 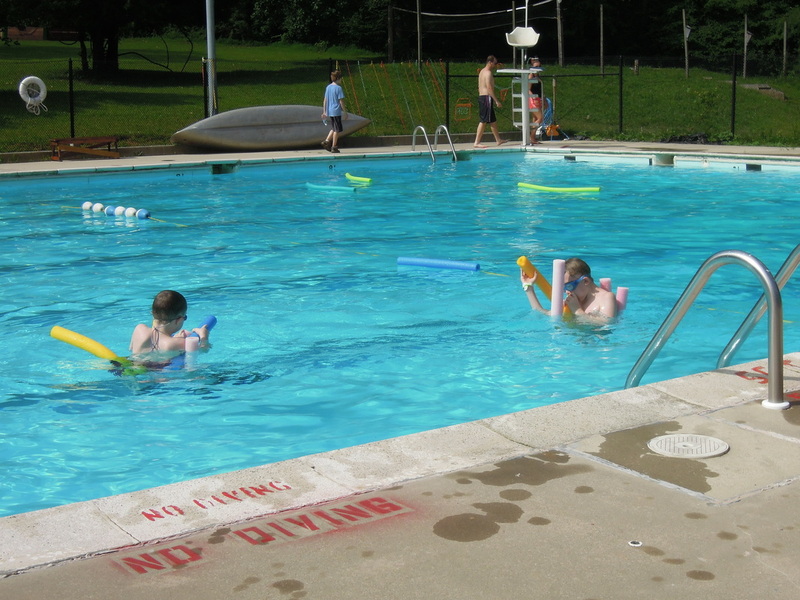 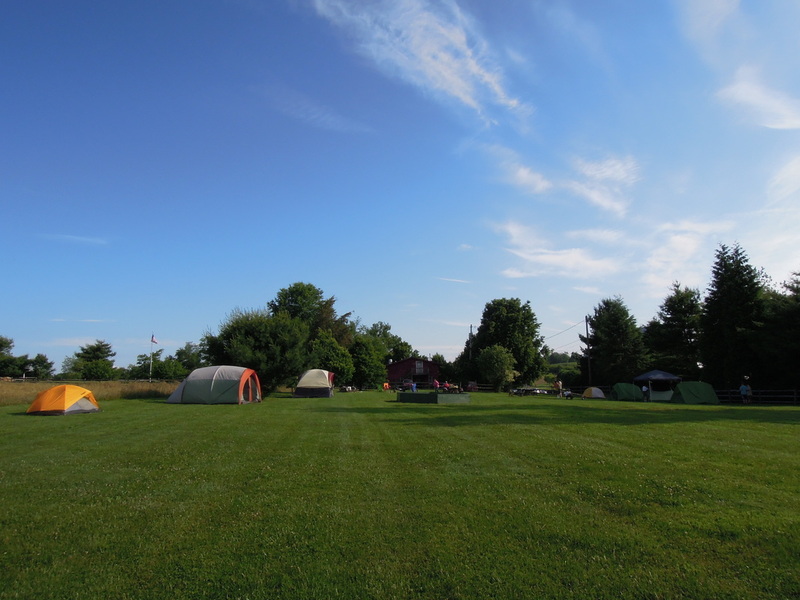 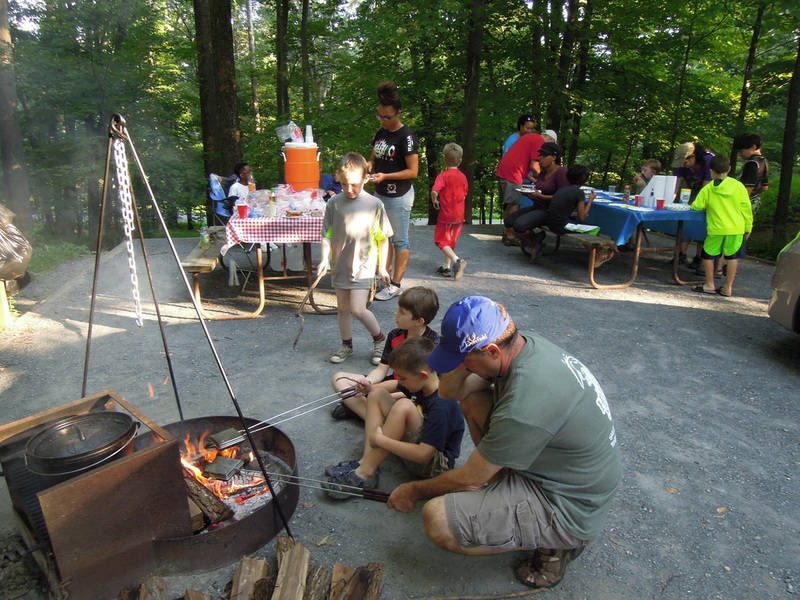 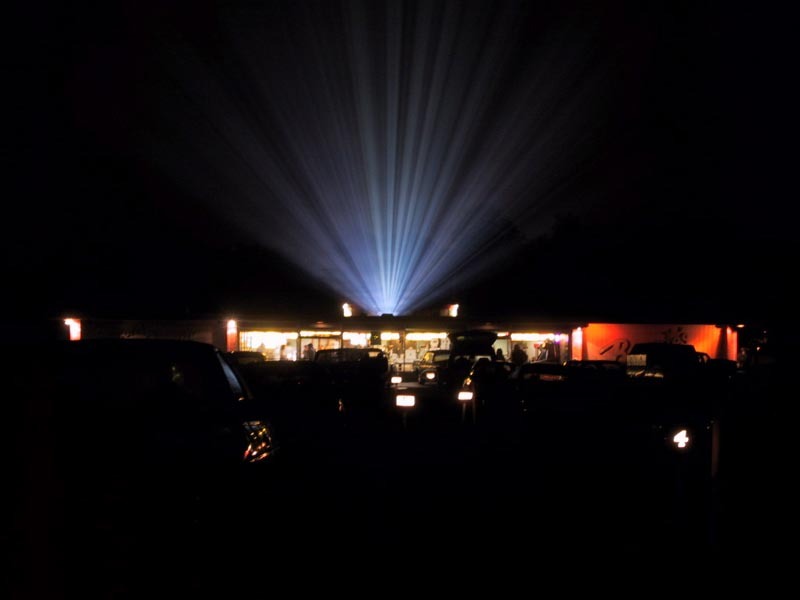 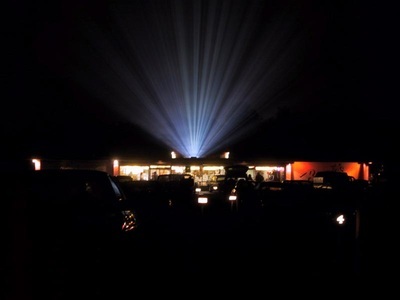 We had our Cunningham Falls camp out last weekend, the weather was perfect and we had a good time at the park. 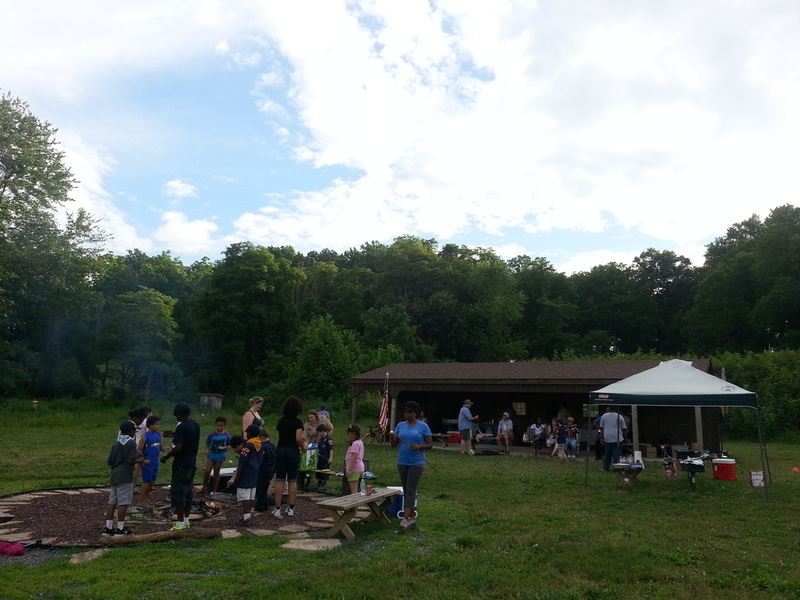 Everyone enjoyed hiking, swimming, fishing, and cooking out. Special thanks to everyone who helped out with the trip! 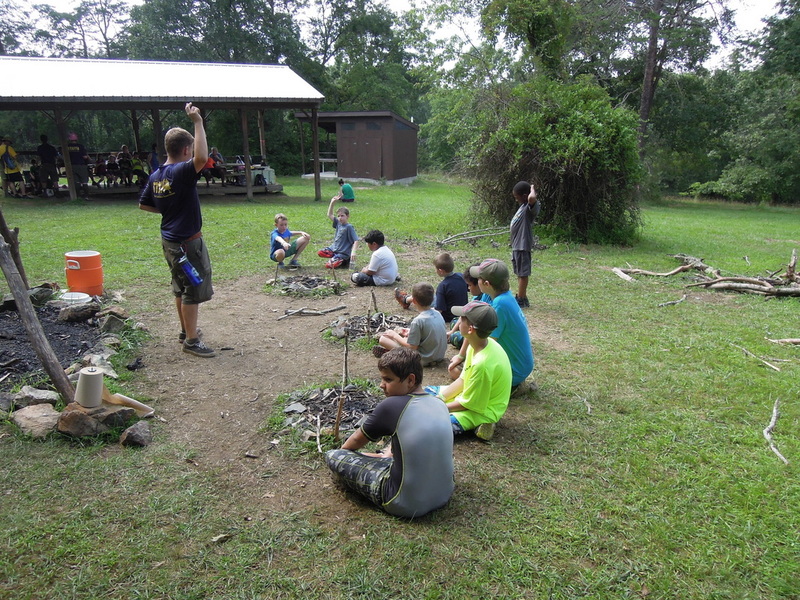 Pack 971 had a good time at OEST summer camp 2015! 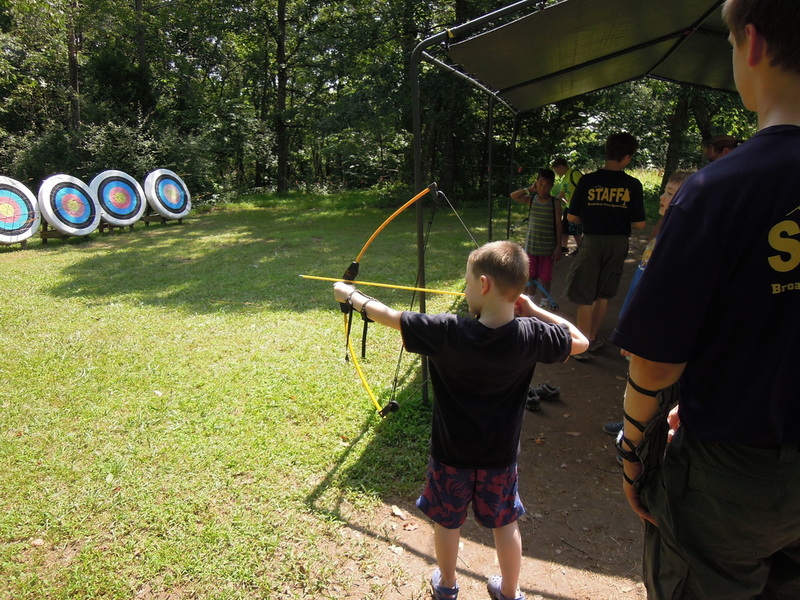 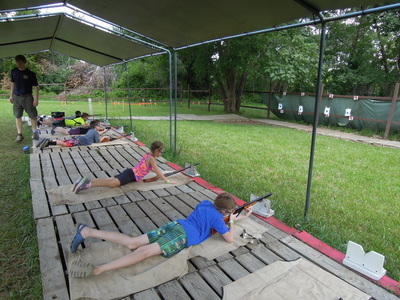 Scout craft, Archery, BB guns, Action sports, Boating, Hikes, Pool ... it was a full schedule! 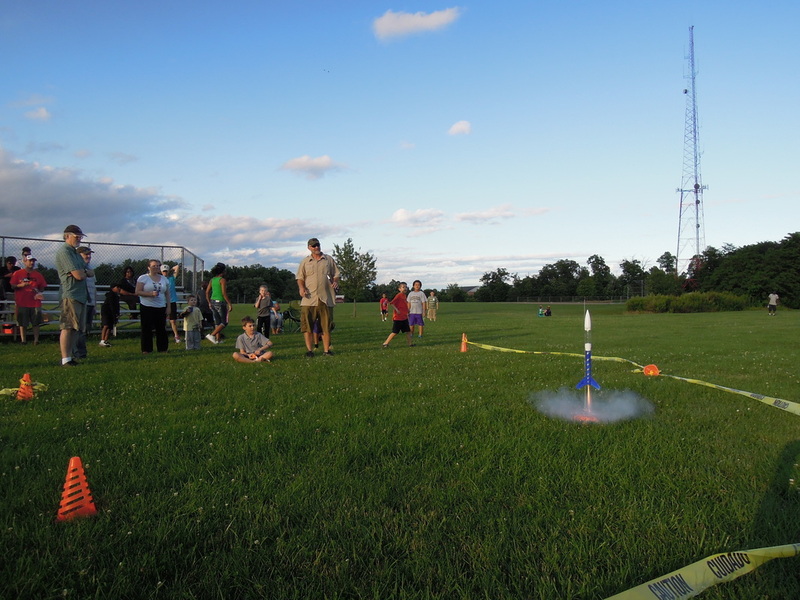 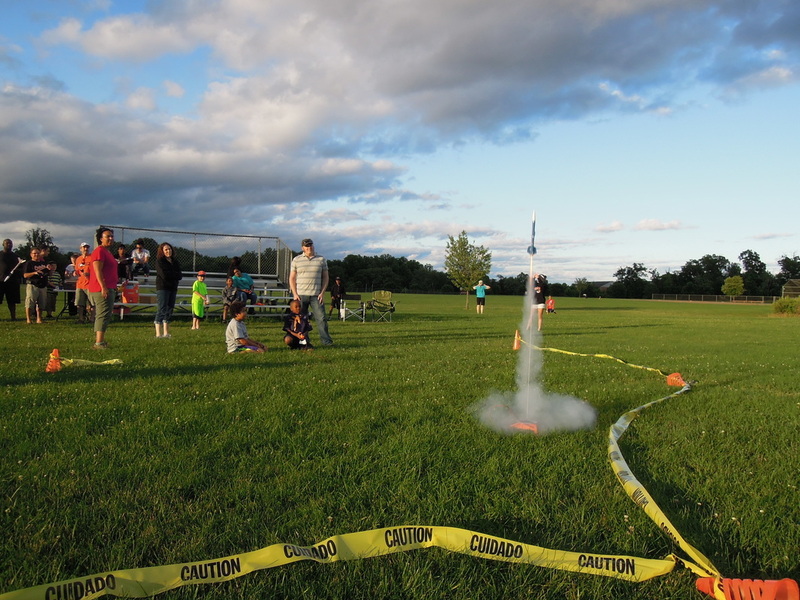 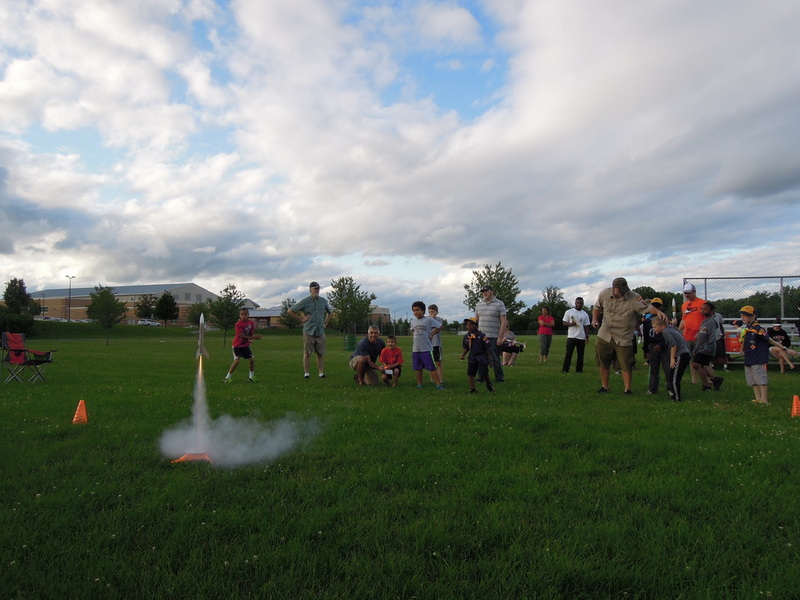 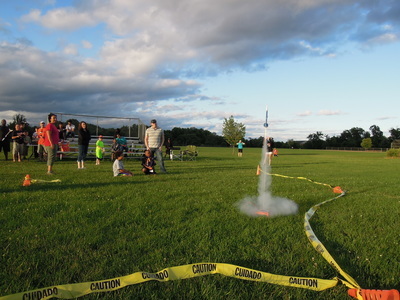 Our pack had another successful rocket launch this year! This year we had two launch pads so everyone was able to have multiple launches. 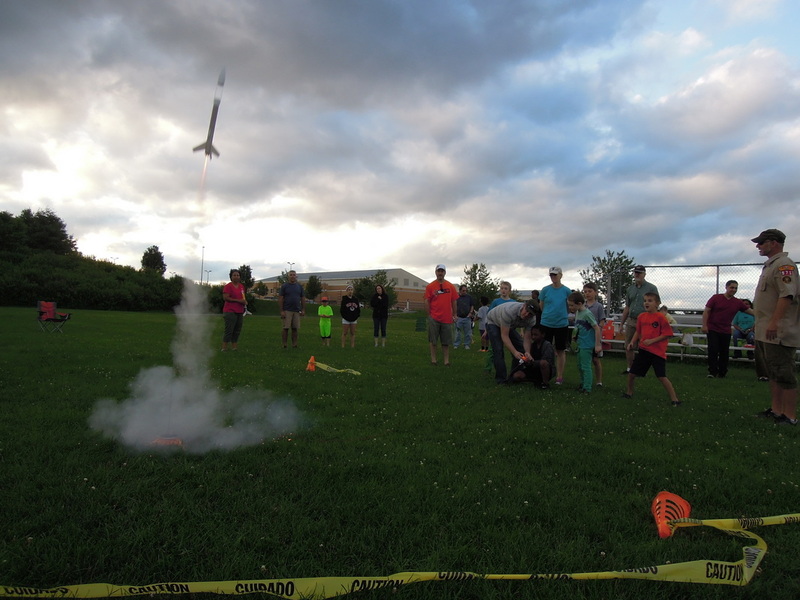 Everyone did a great job getting their rockets in launching shape. 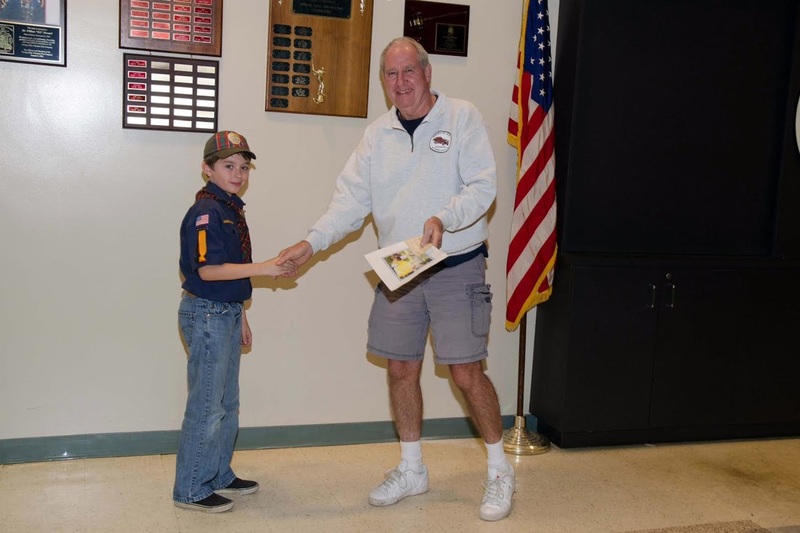 We recognized the advancement of many of our cub scouts at the picnic this year! The scouts also got a chance to play games, roast marshmallows, and continue working on their rockets. 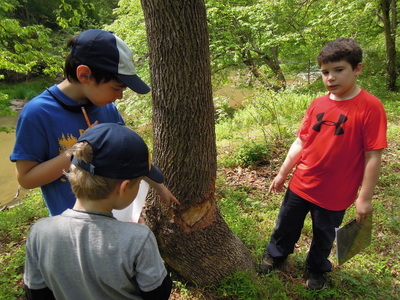 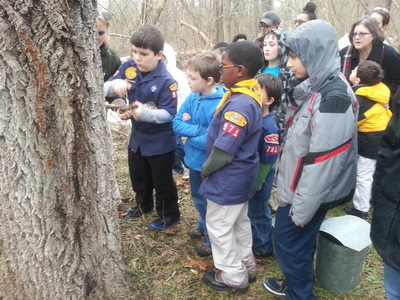 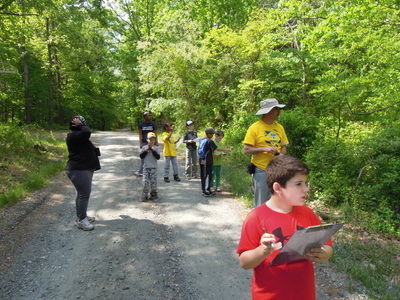 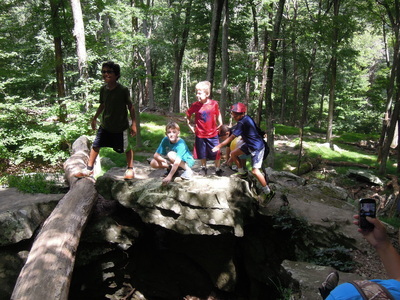 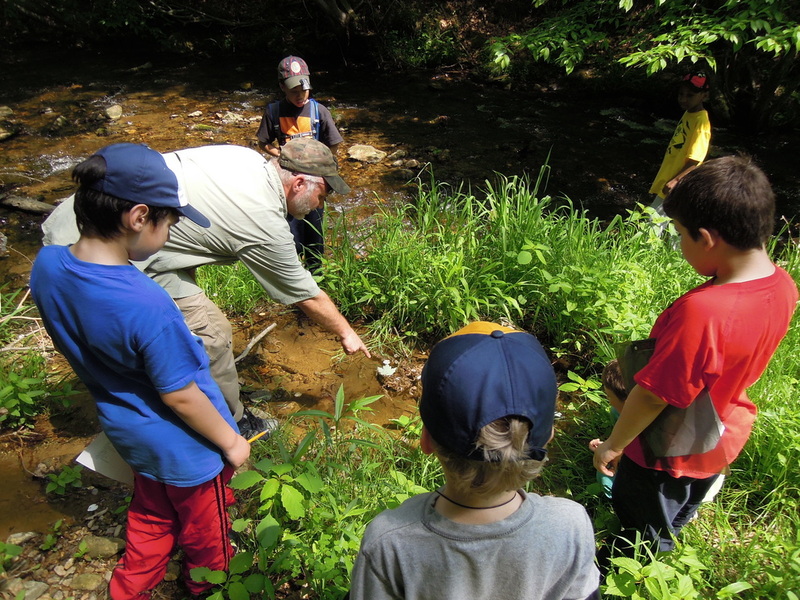 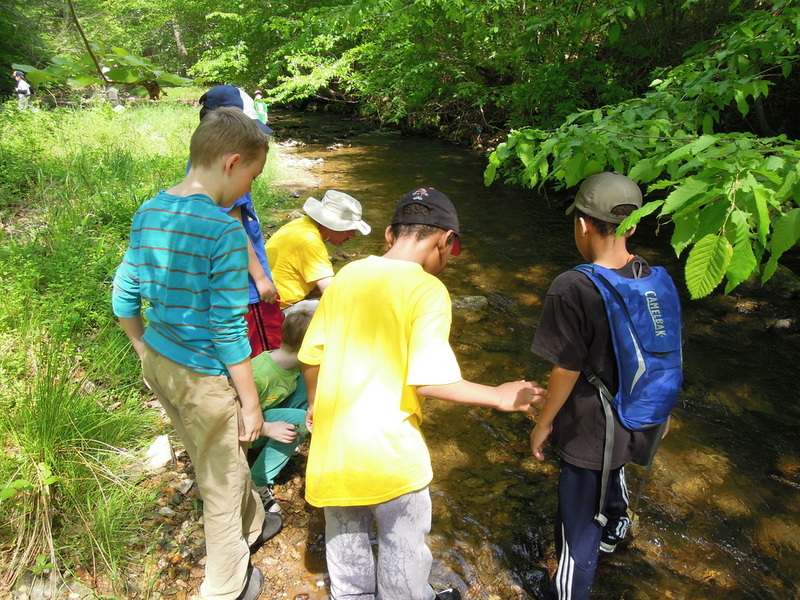 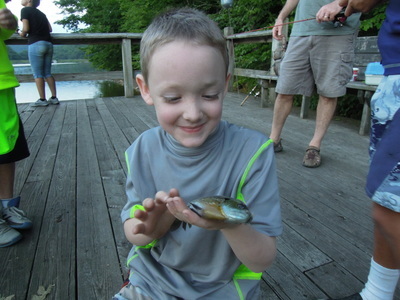 Pack 971's Webelos were invited to attend Troop 97's trip to Genesee Valley. We had a great time participating in the team building activities and challenges with the Troop. 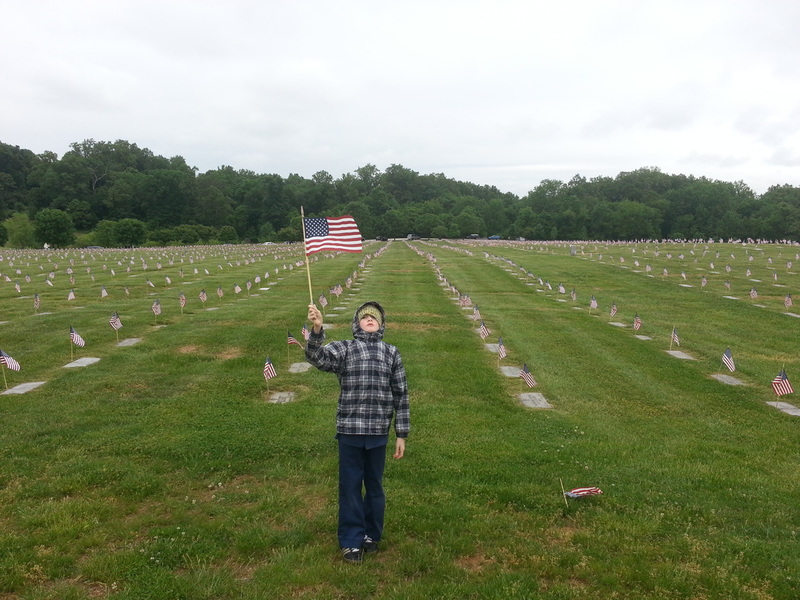 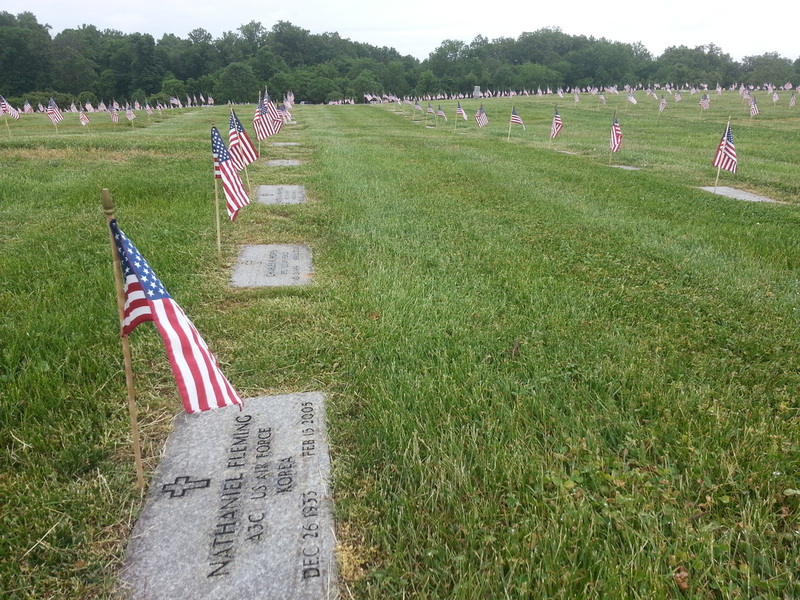 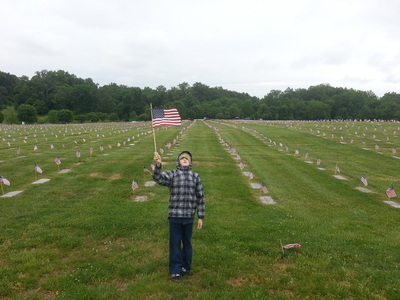 In honor of those who have fallen in service of our country, Pack 971 helped place flags at the Garrison Forest Veteran's Cemetery. We had a wonderful time and *nearly* perfect weather for our spring camp out. 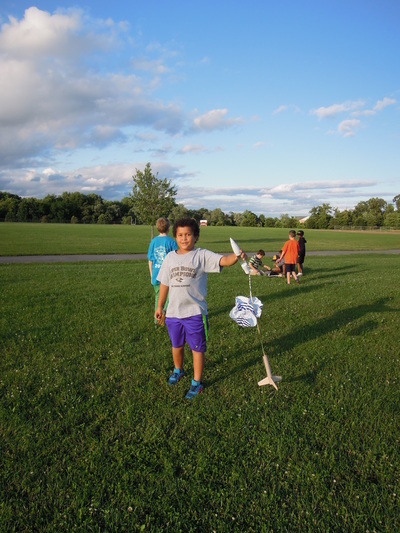 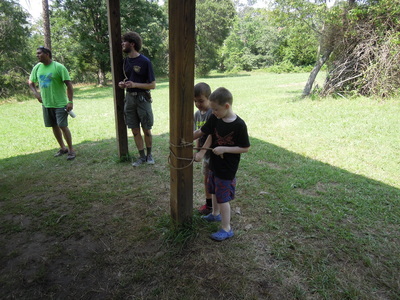 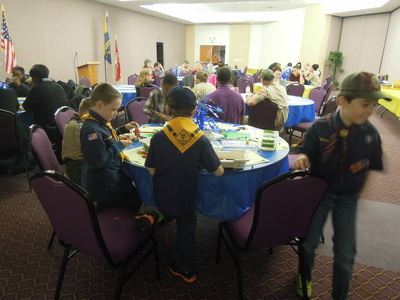 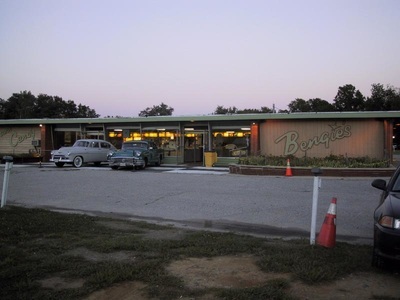 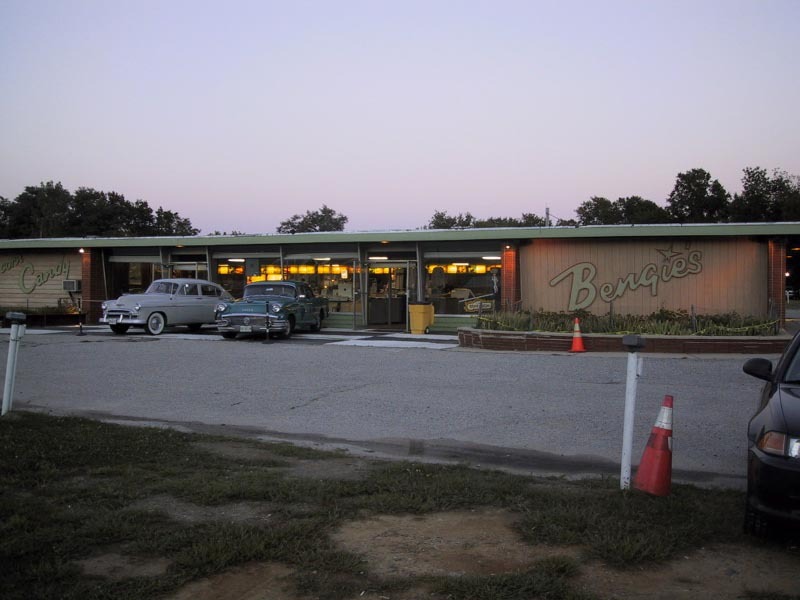 The cub scouts learned about reading and making maps, how to read a compass, had a scavenger hunt, learned how to play Capture the Flag outside of a computer, built and flew model airplanes, had a great campfire! 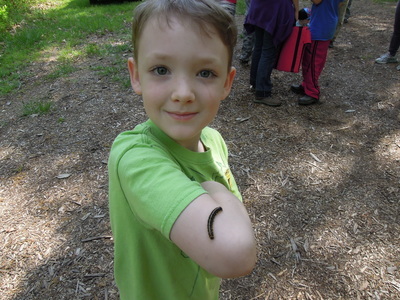 The tent caterpillars were also particularly popular and plentiful.